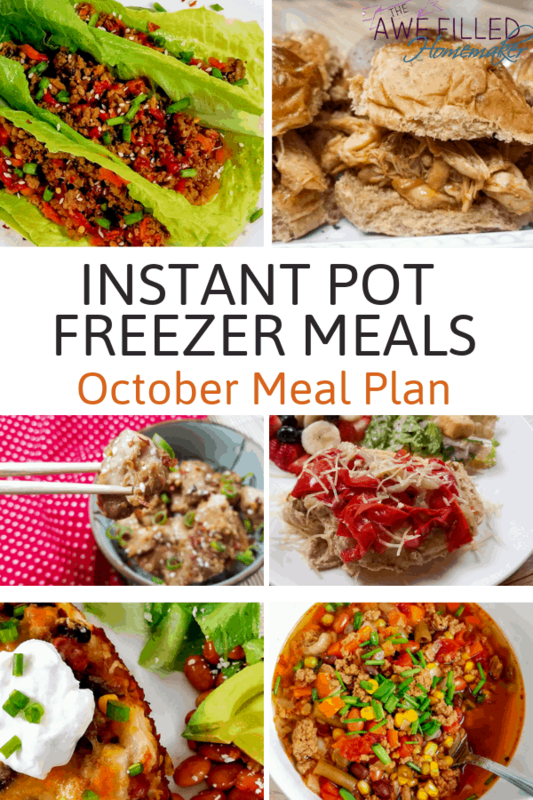 This month is all about freezer meals! Freezer meals are an amazing way to get your cooking done for the week. Personally, I like to make big batches of meals and eat part of it while freezing the rest for later in the week or month. Some families will take one day out of the week or month and cook all their meals out for that time frame. It is both time-consuming and time-saving. An entire day is set aside to cook meals for the week, but your meals are cooked and only needed reheated throughout the week. 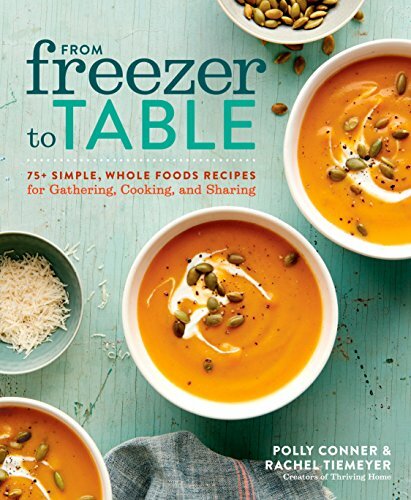 Whether you are an expert in preparing freezer meals or you’re brand new to meal preparation, I hope this list comes in handy as you’re planning your meals this month! 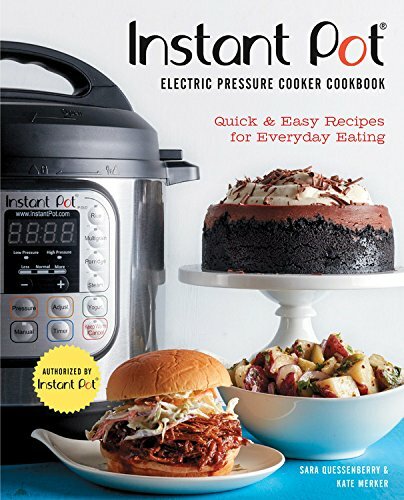 A few months ago, we launched the start of our new Instant Pot Meal Plan series. I’m brining you some of my favorite recipes that are all delicious and amazing! Before I get to the recipes and menu plan…lets talk social media. I would LOVE LOVE LOVE it if you would follow me on my social channels and subscribe to my blog! 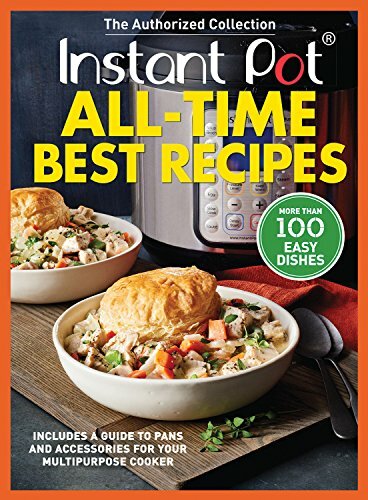 I won’t spam you to death- I promise and you can elect to just get instant pot or recipe emails! I have an air fryer group too! So don’t miss that! 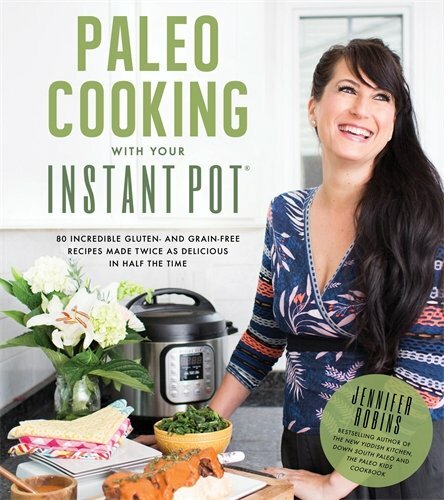 Enjoy this month’s meal preparation all worked out for you! 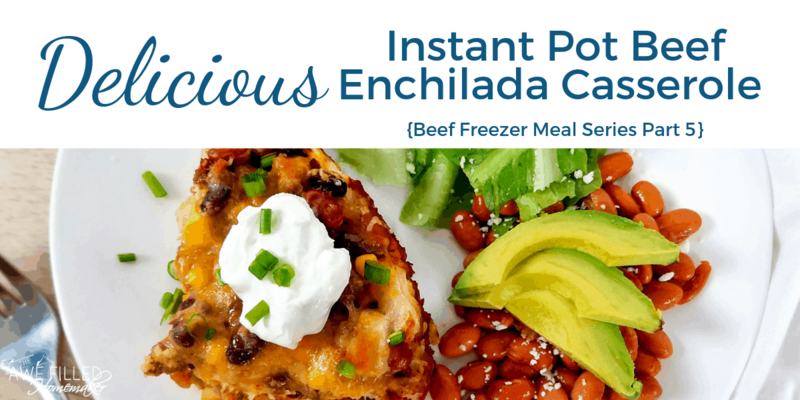 Delicious Instant Pot Beef Enchilada Casserole is a simple dish that offers rich Tex-Mex flavors that is perfect to add into your weekly meal planning! Pegged the “best dump dinner you’ll ever make,” I almost want to agree with her! Look how amazing this one looks. I can’t wait to try it! If you love Chipotle, you may have encountered their Barbacoa. Whether you want the meat for burritos, tacos, nachos or just on a sandwich, this recipe will get you on the right path! 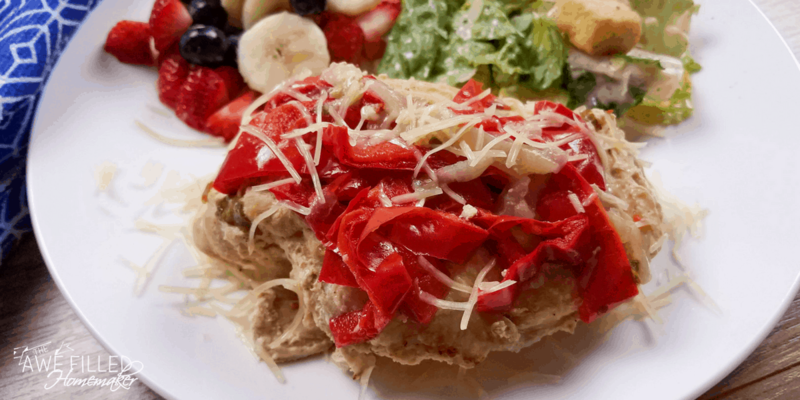 I have the perfect low carb lunch or dinner option for you to try. 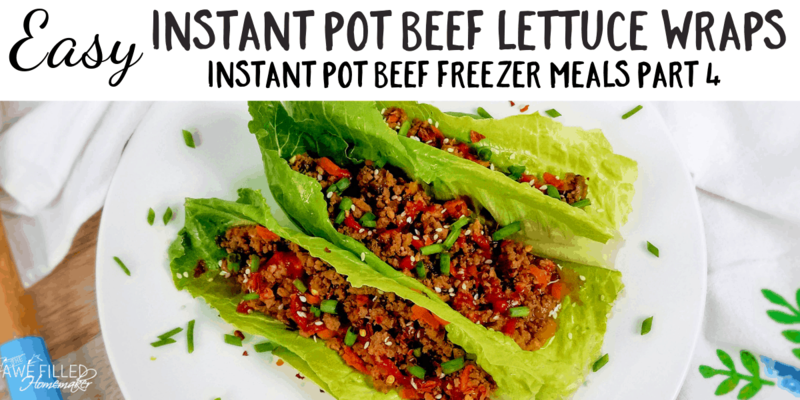 These low carb Instant Pot beef lettuce wraps, part of my Instant Pot Beef Freezer Meal Series, are sure to hit the spot. This soup makes me want to grab a grilled cheese sandwich to go along with it! The flavors look absolutely amazing and just so decadent! I think the whole family will just love it! It’s taco time! Grab your freezer bag of ingredients and go for a perfect Mexican night! I love how easy this one is, too! 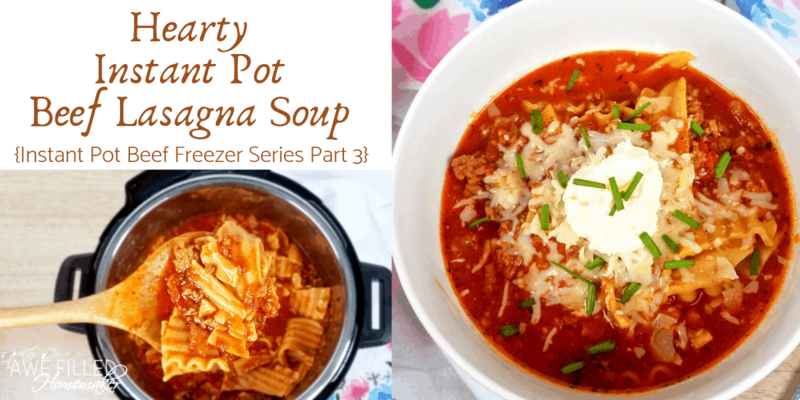 This recipe is a one pot dish that is so easy to make. It is perfect for dipping breadsticks or garlic bread! This recipe looks so good, doesn’t it?! I really enjoy a good Sesame Orange Chicken. 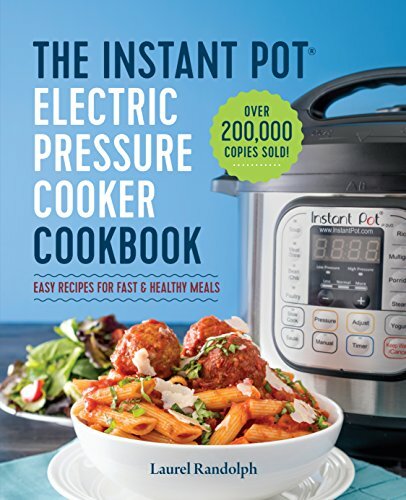 And now I can make it in my Instant Pot and as a freezer meal! If you love chicken with a dash of Mexican flavor added, you’ll absolutely adore this Cilantro Lime Chicken recipe! This recipe takes buffalo chicken to an entirely new (and delicious) level! I’ve never thought of stuffing potatoes with buffalo chicken, but that’s what she did and the results look amazing! Not like normal beef sloppy joes, this turkey version puts a whole new twist on it without losing the deliciousness. Grab some napkins because you’ll need them! It will be cold soon to enjoy a really great bowl of chili. I love how gorgeous this chili looks, but also how yummy it looks! 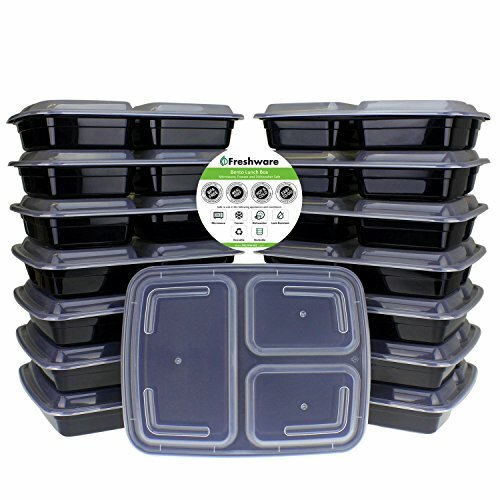 It freezes amazingly so you’ll have meals all prepped ahead! Love a good Pulled BBQ sandwich? These are sure to leave you wanting more! Craving some Mexican food? These Taquitos are freezer friendly and through the roof yummy! I think I’d add some homemade salsa to the top and call it a day! You don’t have to go to an Italian style restaurant to get this meal. You can get this delicious meal right at home! Wanting a good, hearty soup to fill you up after a long day? This one is sure to do the trick! It’s creamy and full of veggies. This meal is perfect for getting your kids to eat their share for the day while still enjoying every last bite! 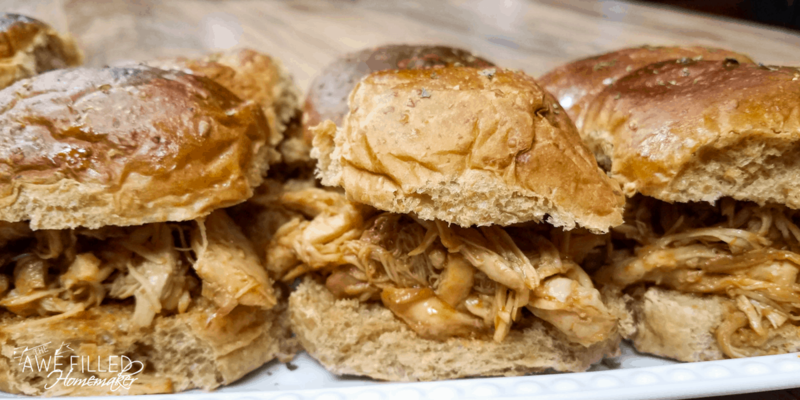 A great sandwich for lunch or dinner, these sliders are crazy easy to prep and get together for any day you need a quick meal! Forget the takeout and just grab your meal from the freezer! 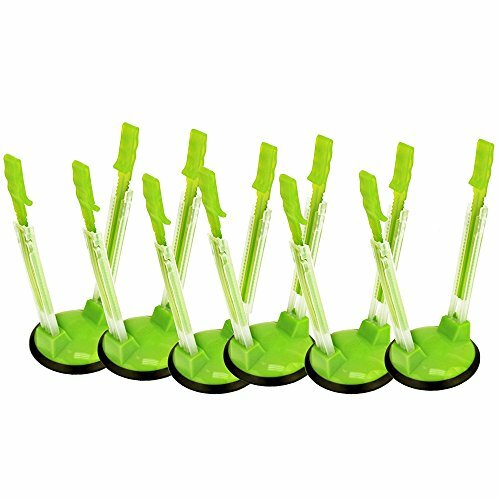 Having guests over? 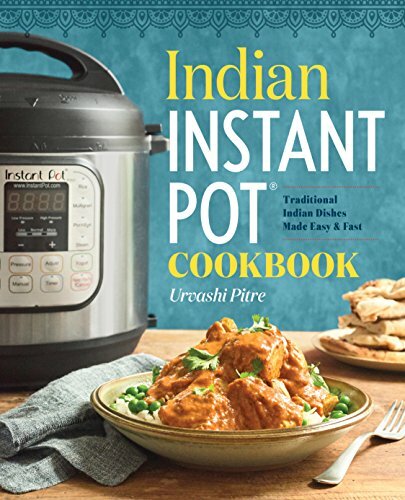 Nobody will ever suspect that you made this meal a month ago in your Instant Pot! This one is a crazy-easy dump-and-go recipe and PERFECT for that busy day where you can barely keep your eyes open, but have to feed the family! It packs all of your essential veggies and meat into one delicious soup and will fill up everyone! 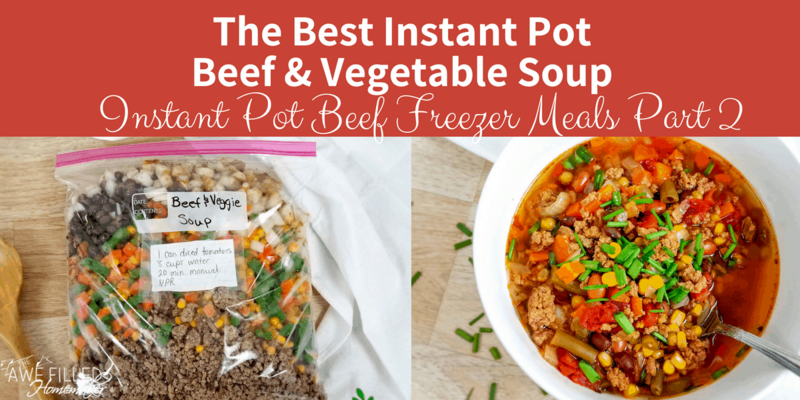 The Best Instant Pot Beef & Vegetable Soup is such a wholesome and comforting soup that will warm you up on a chilly day. Loaded with veggies and ground beef, it is a complete dish that is simple to make and will leave you satisfied. Incredibly easy and incredibly delicious, I love this recipe! It’s perfect for adding some veggies on the side and maybe a biscuit or some cornbread. With chicken, tomatoes, peppers, onions and whatever else you fancy throwing in, this recipe is amazing for any night of the week! Another fabulous Asian recipe, this one has my favorite in it – peanuts! With a sweet and salty flavor, this recipe hits the spot every time and is so ridiculously easy, it’s not even funny! 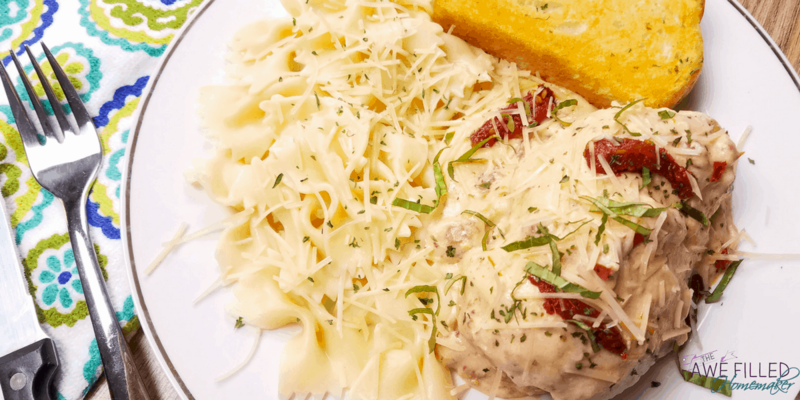 A twist on a classic chicken recipe, this one is so, so good! I couldn’t pass up adding another fabulous soup. The flavors are explosive and yet it leaves you feeling full and happy! If you’ve never heard of Beef Burgundy before, you are missing out! It’s a stew that is perfect for any day of the year, but especially those winter months! 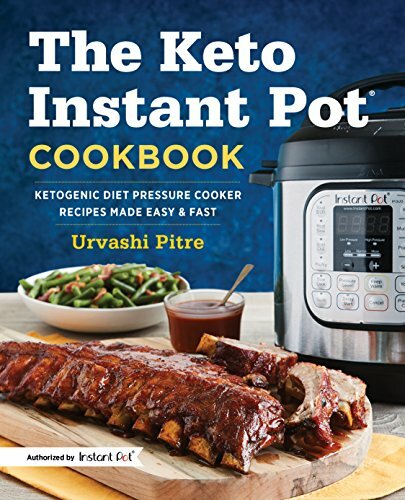 Be sure to scroll all the way down on this one for the Instant Pot version! Want a little bit of Asian for supper? These Sweet and Spicy Asian Chicken Bowls are just downright amazing! Full of flavor and protein, this recipe is waiting for you. This healthy alternative to classic noodle soups is perfect for families and kids! Everybody is sure to love this one! I love a good pot of fajitas and I LOVE how easy this one is to make in the Instant Pot! Having it as a freezer meal makes my life even easier when all I have to do is dump it in and go for the night! 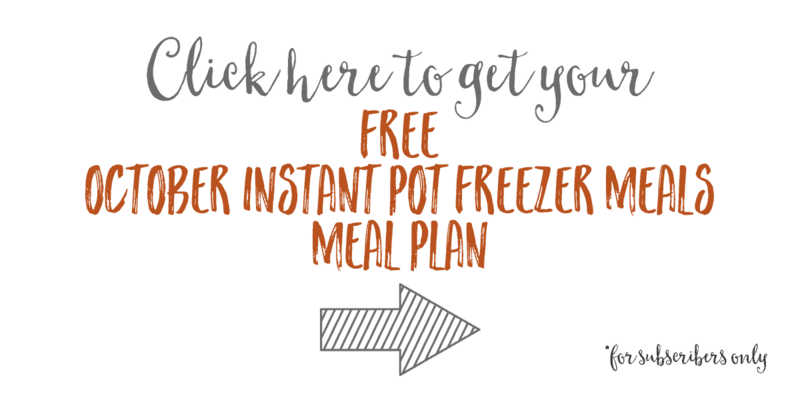 So, there you have it – 31 days of October freezer meals! Let me know which one is your favorite and if are inspired to continue on the freezer meal journey!